The 10th is here! The best day of the month! With Christmas coming (HOORAY!!! ), and trees sure to go up in just a couple of weeks. I made a set of Nativity Fabric Ornaments that I’m excited to share. We are excited this month for the theme to be Handmade Ornaments. From the Nativity fabric, I cut out the cast of characters, pinned them inside out to red felt, sewed around the edges leaving an opening, stuffed them, then hand stitched it closed with the gold ribbon to hang. Yes, I hand stitched them–I’m such a big girl. It took a few minutes, but nothing a little Hart of Dixie couldn’t fix. 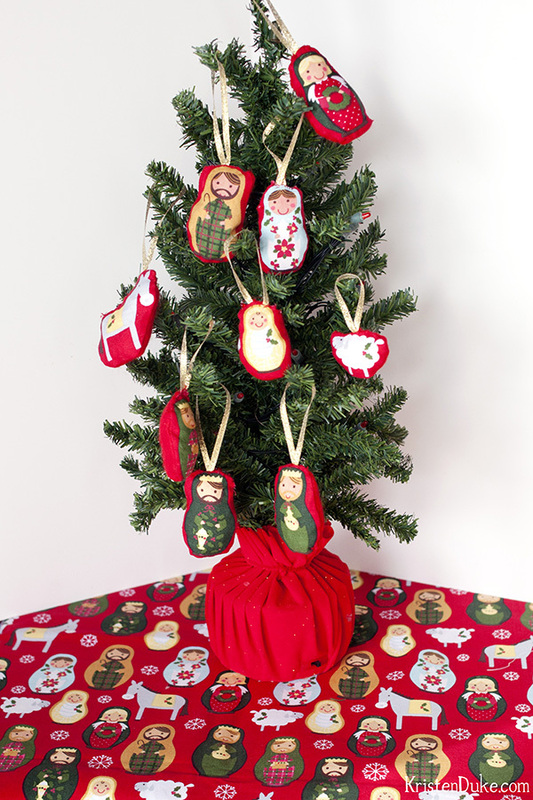 Here is another shot of my Nativity Ornaments on top of the fabric I cut them from. This fabric is a Joann exclusive (so I hear). My daughter thought it was so much fun to play with, I love that she CAN play with it, and I don’t have to worry about it breaking! Order the fabric HERE. I gotta give my creative-live-in-sister-in-law props for coming up with the idea. It was down to the wire, and my other idea wasn’t panning out. She already had the fabric–woohoo! Deadlines sometimes get the best of me! P.S. 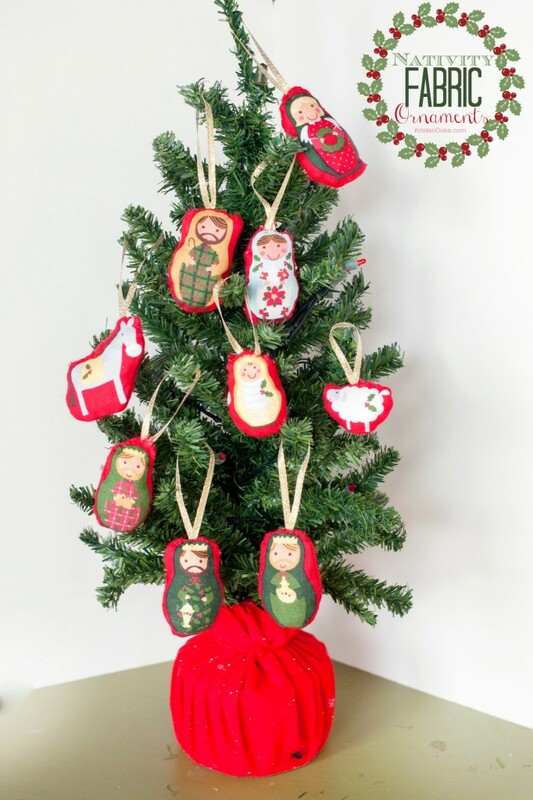 I was a guest on I Heart Nap Time the other day, and shared a Fabric Christmas Countdown Chain, go check it out, too!